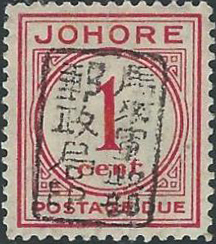 After the single issue overprint of 1876, no overprinted stamps were supplied to Johore from 1878 until 1884. 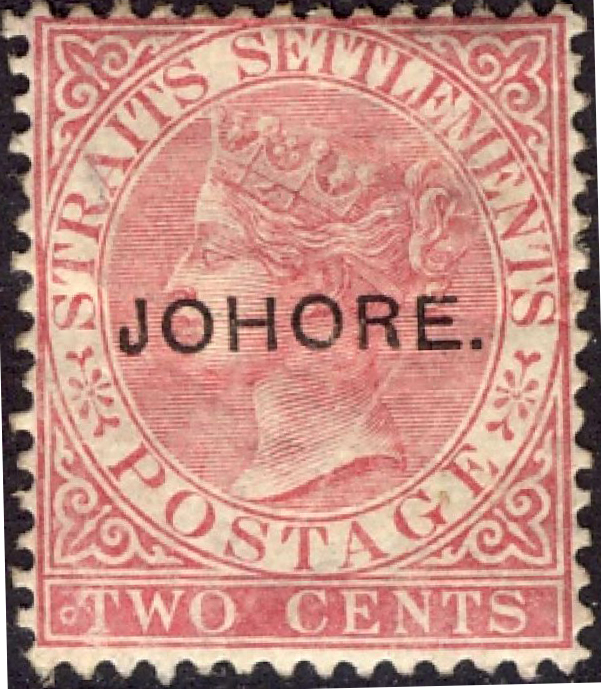 The 1884-86 issues comprised seven font variations of "JOHORE" on a single stamp, the 1883 Straits Settlements 2c pale rose Sc41 SG63. Sc1A is shown above. Johore is at the south of the Malay peninsular. During WW2, Johore's capital, Johor Bahru, became the last city on the Malay peninsula to fall to the Japanese. 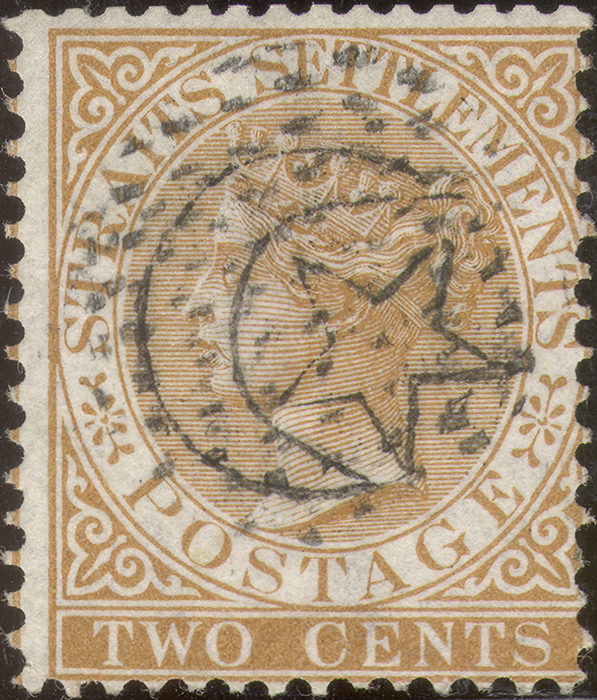 The only occupation stamps listed by Scott  specifically for Johore are post due labels. 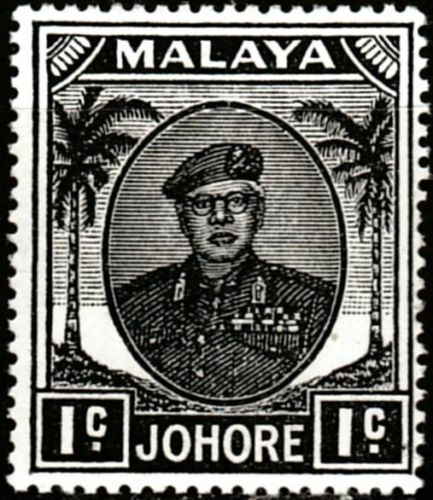 Johore joined the Federation of Malaya in February 1948 and Malaysia in 1963. 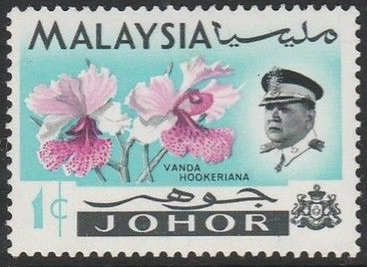 It had its own stamps within Malaysia from 1965 until 1986. Images from Wikipedia, David Olson, ebay.